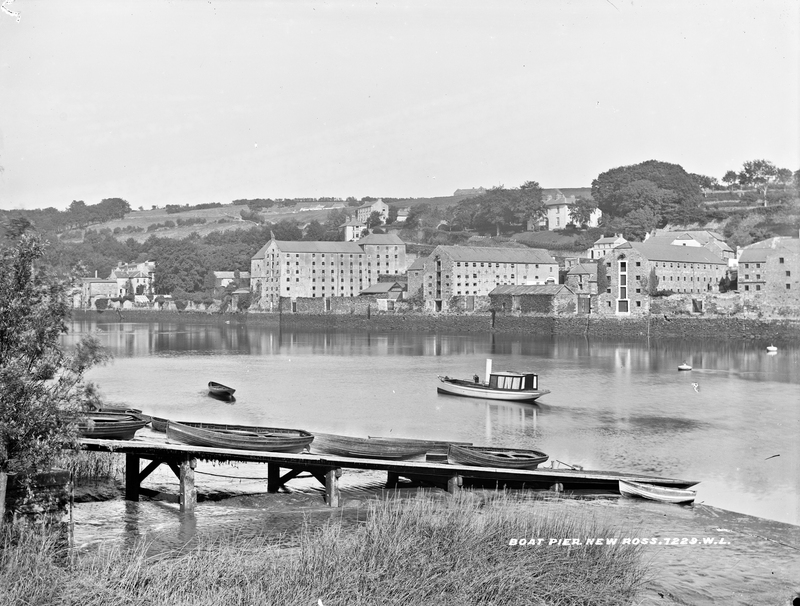 Mud, boats and quays - the Barrow at New Ross. From the Liffey in Dublin yesterday, to the Barrow in New Ross today. And, from the elegant Elinor Wiltshire, to the burly Robert French. The quays are impressive but empty - which is rather surprising given the time when this image was captured! If memory serves me right, a boat not dissimilar to those seen in the Wiltshire shot sank with loss of life around the same time as the Wiltshire shot was taken. And right up against those quays! Mr French took a 'cabinet' sized photo L_CAB_07896 at the same time - catalogue.nli.ie/Record/vtls000332590 . Which was first? Spot The Differences! [https://www.flickr.com/photos/beachcomberaustralia] Yes, the old bridge and in a strange coinkydink given yesterdays shot, that nearby slip is at New Ross Boat Club! very few dateable items in this shot per the NIAH.